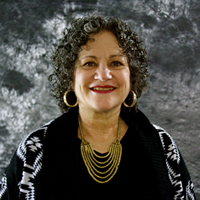 Diane M. Jacobstein is a Clinical Psychologist and Senior Policy Associate in the Georgetown University Center for Child and Human Development-UCEDD, and Research Associate Professor in Pediatrics. She has worked with young children throughout her career, including more than 30 years on faculty. Dr. Jacobstein has extensive experience as a clinical supervisor, therapist, diagnostician, and trainer in early childhood settings. Her ongoing work as an Early Childhood Mental Health Consultant for more than 20 years is in a Head Start/Early Head Start program that serves families who are homeless. She is part of a research team focused on supporting mothers of young children in emergency shelter. Her consultation work with states and communities addresses needs of children with co-occurring developmental disabilities and mental health needs, including very young children and their families. Dr. Jacobstein previously worked with infants, toddlers and young children in a wide variety of other settings. For many years, she served as the psychologist in Georgetown’s Autism and Communication Disorders Clinic, Pediatric Mobile Clinic, pediatric cancer, renal disease and intensive care units, as well as a general pediatrics practice. She has been part of several Georgetown initiatives related to young children living in poverty and in shelter. She has a special interest in trauma-informed services and public policy related to developmental disabilities and under-served communities. Dr. Jacobstein’s doctorate in clinical psychology was from The Catholic University of American in 1982. Her undergraduate degree in psychology and English literature was awarded, with honors, from Clark University. Henderson-Smith, L and Jacobstein, D (2015) Learning Community Supports Interagency Planning for Youth with Co-occurring Intellectual/Developmental Disabilities and Mental Health Disorders. Georgetown University National Technical Assistance Center for Children’s Mental Health. Jacobstein, DM and Elias, E (2015) National Policy Forum: Attention to Co-occurring Disorders in Health Care Reform, US Public Policy Update, The NADD Bulletin, Volume 18 Number 1, 10-12. Jacobstein (2014) Effective Strategies Checklist: Children and Youth with Developmental Disorders and Challenging Behavior, National Technical Assistance Center for Children’s Mental Health (Issue Brief). Soto S, Linas K, Jacobstein D, Biel M, Migdal T, Anthony BJ. (2014). A review of cultural adaptations of screening tools for autism spectrum disorders. Autism. 2014 Jul 9. Review. Anthony, BJ, Linas, K, Biel, M, Jacobstein, D, Mendez, R, Dos-Santors Arquino (2014 ) Supported Screening to Enhance Indentification of ASDs in Latino Children: Conference Paper, International Meeting for Autism Research. Jacobstein, D.M., Stark, D.R., Laygo, R.M. Creating responsive systems for children with co-occurring developmental and emotional disorders, Mental Health Aspects of Developmental Disabilities, 2007, v. 10(3), pp.91-98. Huang, L., Macbeth, G., Dodge, J., and Jacobstein, D. Transforming the workforce in children’s mental health, Administration and Policy in Mental Health, 2004, v. 32(2), 167-187.